Flemming introduced me to the violin-playing of Vanessa Mae. Give me a break – the violin must be the most conservative and boring instrument of them all and I get stuck on Youtube watching all kinds of videos about her music? I mean – this IS cool violin playing! Made me think about what makes cool cool? It were the days of our first cars at the end of high school. I personally certainly had the un-coolest car your could get, but it was all I could afford. In our class we had one guy who was just the coolest, Mike. He had, at that tender age, traveled the world on a shoe-string budget. He was so cool, that he did not even give in to female attempts to reel him him. How cool was that – something I dreamed of – he just shrugged off! Once, a few of us planed to go on a social visit to our favorite teacher. Only few of us had cars, my car was too small for all of us, so Mike offered to drive us and got the car from his dad and thus was our designated driver. You might have to learn a bit about car culture in Germany at that time to grasp the gravity of the following. For example, you could not drive an automatic – you would be considered a grandpa – but those cars were too expensive anyways so that was never an issue amongst us. At the top of the un-cool list, right after the automatic, was a station wagon with the shift-stick at the steering wheel and a single bench in the front. And that was exactly the car Mike drove up in to pick us all up that evening to go, visit Hartwig! But believe it or not – that car did not make Mike un-cool, instead his coolness rubbed off on the car and it became totally acceptable to drive a Taunus or Ford station-wagon. 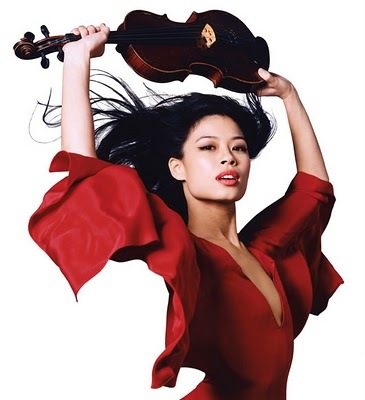 Applying that lesson to myself took many years, so I don’t necessarily expect my son to understand when I told him this story, but for me this example of the violin of Vanessa Mae re-enforced the lesson for me. She just did not let the un-coolness of the violin rub off on her, instead she made the violin cool. So, now, how can I apply that right now? 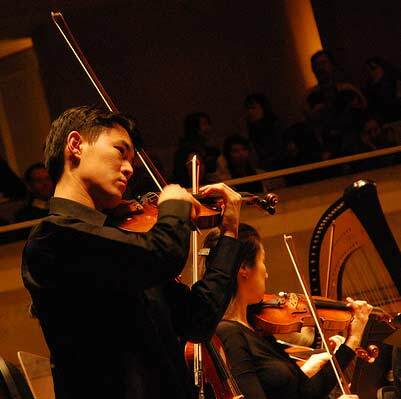 This entry was posted in Music, Philosophical, Thoughts, Video and tagged car culture, coolness, Ford, ford station wagon, Germany, Music, shoe string budget, taunus, un-coolest car, Vanessa Mae, violin on March 26, 2011 by Merlin Silk.